Scenic Drive from and to Kathmandu by air-conditioned tourist vehicle. Experience the world best Bungee Jump. 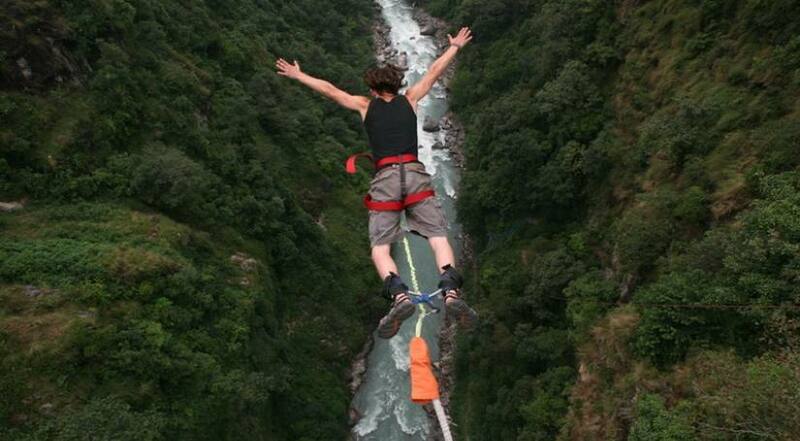 Bungee jump at The Last Resort in Nepal may be the most remarkable Bungee Jump on the Planet. This extraordinary 500ft (160m) drop into the Bhote Koshi River gorge on the Nepal/Tibet border is the longest Free-fall in the world. Planned, assembled and functioned by very qualified Kiwis to exacting international standards your safety is guaranteed. It is Nepal's Ultimate Rush. Located a 3 hour drive from Kathmandu and 100km northeast to within 12km of the Tibet border. Bungee jumping, which has been restricted in some parts of Europe, can be experienced in this Himalayan Kingdom. 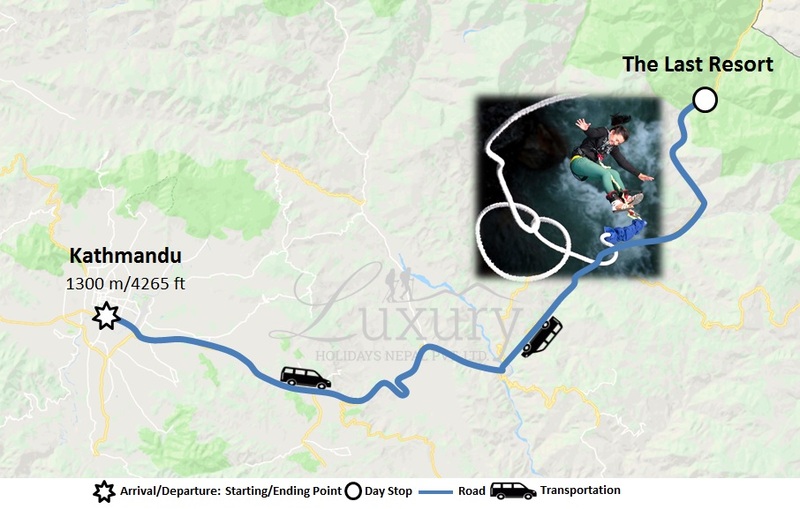 One can reach the Bungee jumping site, which lies near the Nepal-Tibet border some 160 miles northeast of Kathmandu, within three hours of smooth drive from Kathmandu. Designed by a leading Bungee consultant of New Zealand, and operated by highly experienced jumpmasters, the 160-meter high Bungee jump is over the Bhote Koshi River. Explore the fascinating and adventurous George of Bhote Koshi where you experience once in a lifetime activity of a jump from world’s highest access. Visitors can stay at The Last Resort overnight and experience more than 80 challenging rapids on the wild river on the second day. Early in the morning after breakfast, we provide you a tourist bus all the way to the last resort 4hours drive from Kathmandu to Bhote Koshi George. After lunch, we take you to the famous 160m high suspension bridge from where you commence the jump. Experience the exciting jump and enjoy the lunch. At afternoon we drive you back to Kathmandu. Luxury Holidays Nepal will offer you private tourist bus for Kathmandu-Bunjee-Kathmandu. ➺The person under age 18 requires consent and attendance of his/her guardian. ➺The jumper should wear tight, closed shoes and comfortable clothes. ➺Minimum weight requirement is 40 KG and maximum weight requirement is 100KG for jumping. ➺The jumper should not have health problems mentioned above.